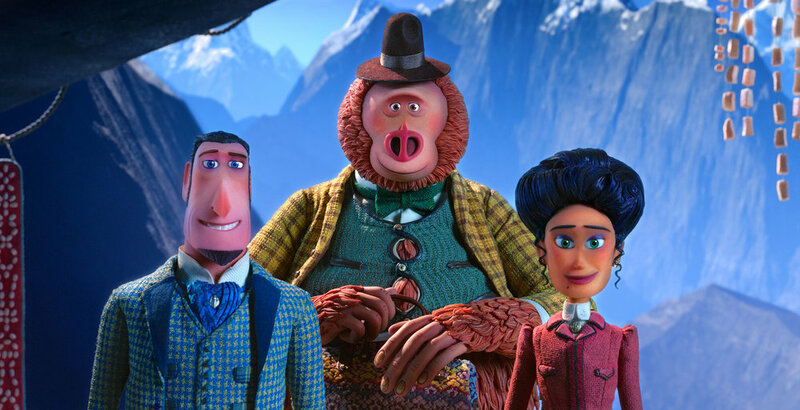 Hugh Jackman lends his voice to an explorer in search of a mythical creature in the new animated film Missing Link. He sits down with Laura Harding, Press Association, to reveal how a childhood ambition has finally came true for him - and why his brother is annoyed! When Hugh Jackman was a little boy, he dreamed of having his name in the Guinness Book of World Records. Growing up in Sydney, Australia, as one of five siblings, all he wanted was to make his mark. "The Guinness Book of Records was the hugest thing and we read through the entire thing," he remembers. "I knew that clearly I'm not going to be the tallest, I don't want to have the longest fingernails, so me and my brother went through every possibility and we came down to badminton, non-stop. "It was only 56 hours to break the record and we thought, 'That is two nights sleep, we can do that'. "And we trained for it, we decided to not sleep, during a school week, for two days." Jackman pauses. "Of course I was asleep by 11pm. I remember waking up the next morning and my brother was still awake. "He went to school and obviously fell asleep, I think on the bus on the way in, and immediately got sent home." Jackman is a fan of a good night's sleep and even more so since he turned 50. The day we meet up for a chat, he is fresh from his incredible turn at the Brit Awards, where he opened the show with a rousing and energetic rendition of The Greatest Show from his box office smash The Greatest Showman. Decked out in a silver jacket and bow tie, there was a moment during the performance when, surrounded by aerial acrobats and fire dancers, he was unable to contain his boyish grin. "I was still in bed by 11," he stresses. "Probably before you! "The other people at the ceremony, they are the real rock stars, I'm the wannabe, the pretend rock star. "On one level, you could say opening the Brits is a great honour, or you could say it's the only time I will be awake. I was done by 8.15pm." 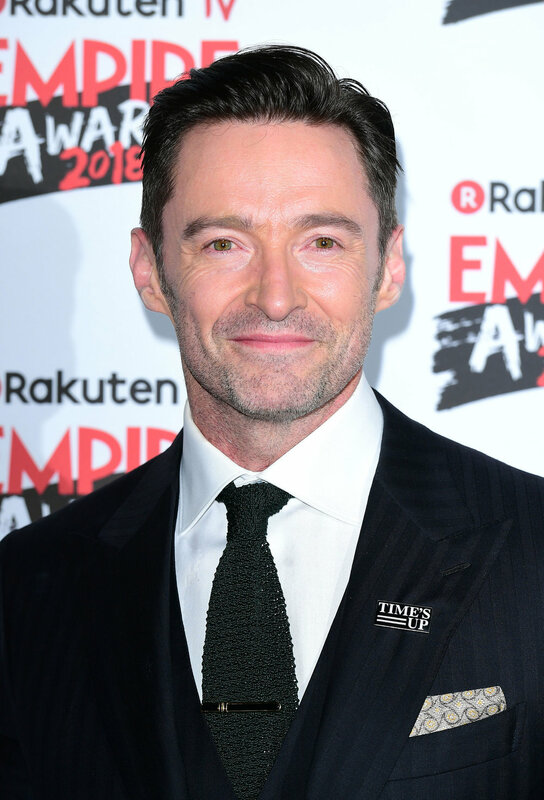 Pretend rock star or not, Jackman is now a Guinness World Record holder. In February he was recognised for the longest career as a live action Marvel superhero, for his role as X-Men's Wolverine. "Now I've got one, I can relax and retire," he laughs. "It's not quite as good as catching coins. We tried that too - we did that for like three months, without thinking that perhaps 10-year-old hands are probably not ideal for breaking the world record for catching coins. "It really was my dream when I was a kid, when me and my brother were like, 'How do we make a name for ourselves?'" So what does his brother think now? "He is so pissed off!" Jackman chuckles. He is now a parent to two children himself, son Oscar and daughter Ava with wife Deborra-Lee Furness, but being a dreamer was always part of his DNA and it seems to be what has drawn him to so many of his famous roles. "I'm an actor and I believe fully and totally in the power of imagination and I think our lives are often dictated by the strength of our imagination and the dreams we have." His latest project is Missing Link, the newest stop-motion project from the animation studio Laika, in which he lends his voice to another dreamer. He plays an explorer called Sir Lionel Frost, who embarks on an adventure to find proof of a legendary creature lost in time. Despite being derided by other adventurers, Sir Lionel ventures off on his own and eventually finds and befriends a mythical beast, who insists on being called Susan and who is the missing link between animals and humans. "The first and the main reason I wanted to do this was this company Laika, I loved their previous films Kubo And The Two Strings and Coraline. "I didn't know that they did everything in camera - it's all real stop-motion animation, they build everything and they created this world. "They spend years making each movie, they pour so much heart and soul into it and I went up to Portland to watch them make the movie." He pinches his fingers together. "My character is like this high and there are lots of them. There were 50 versions of my character at different sets all around the studio and I just loved it and loved the character and I loved what the story is about." Indeed it comes hot on the heels of The Greatest Showman, the movie musical based loosely on the life of circus impresario PT Barnum, whose soundtrack is still riding high in the charts, and Jackman saw similarities. "There are some parallels between the two films I think, that whole idea of finding your tribe and just being yourself. "My character Sir Lionel, like Barnum, was trying to be accepted by the establishment. He wants to be part of that gang, that club, that group and he will do anything to be a part of it. "But really the lesson is just do what is right for you and don't worry what anyone else thinks." And after years of badminton, coin catching, early nights and dreaming, Jackman is certainly doing what is right for him.